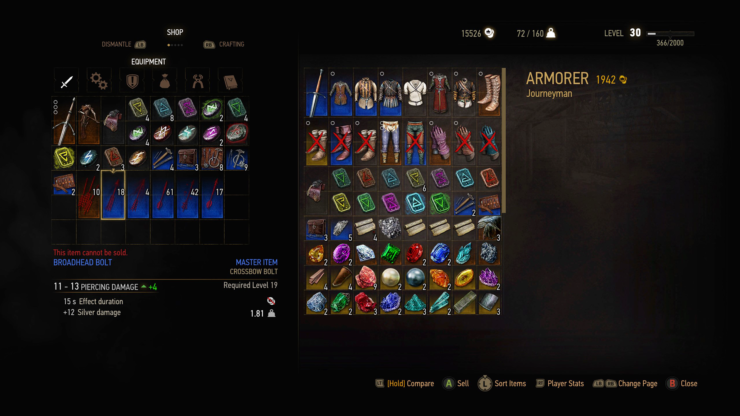 Screenshots of the new UI from the upcoming Witcher 3 Blood and Wine expansion have surfaced online, and included are some shots of the new armor sets included in the expansion. 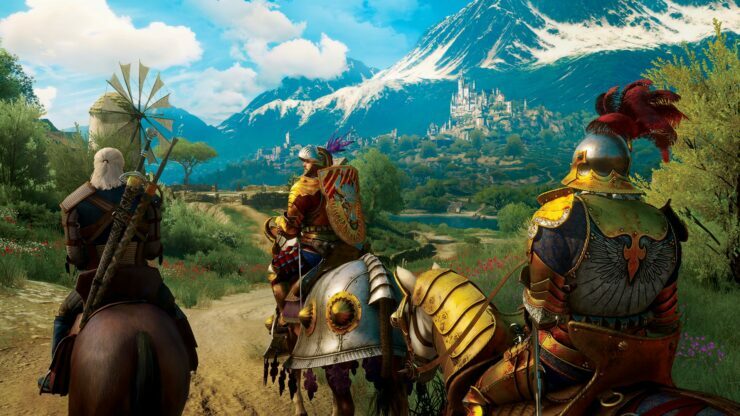 Yesterday CD Projekt Red released the teaser trailer for the Blood and Wine expansion alongside a set of new screenshots. 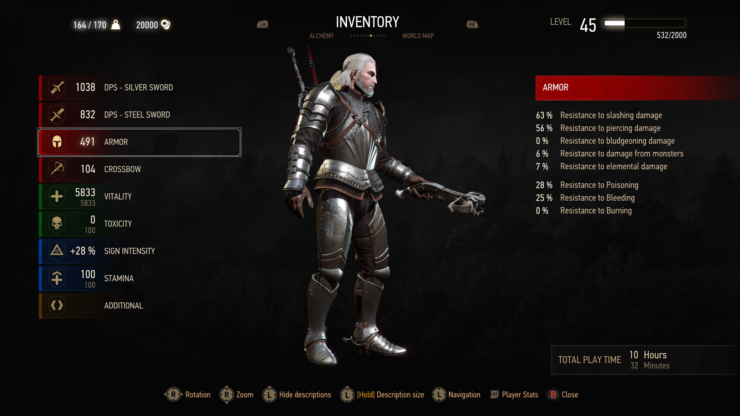 The second Witcher 3: Wild Hunt expansion is scheduled for a release on May 31st, and will feature over 90 quests, a new mutation system, new armor sets, and a greatly redesigned user interface (UI). 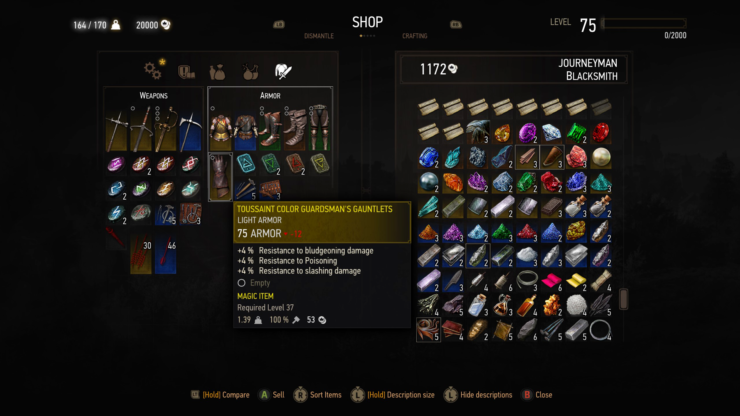 If you’re interested to learn what else will be new in the expansion, check out this post. 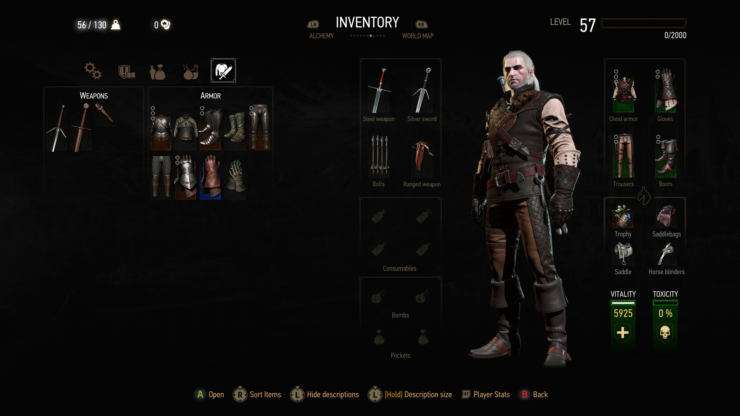 For the last time, players will become professional monster slayer Geralt of Rivia and explore Toussaint, a remote land untouched by war, where they will unravel the horrifying secret behind a beast terrorizing the kingdom. 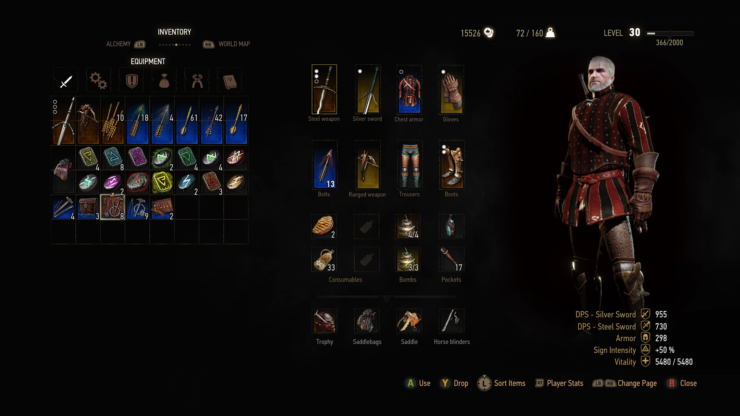 THE WITCHER 3: WILD HUNT – BLOOD AND WINE is an adventure full of dark deeds, unexpected twists, romance and deceit. 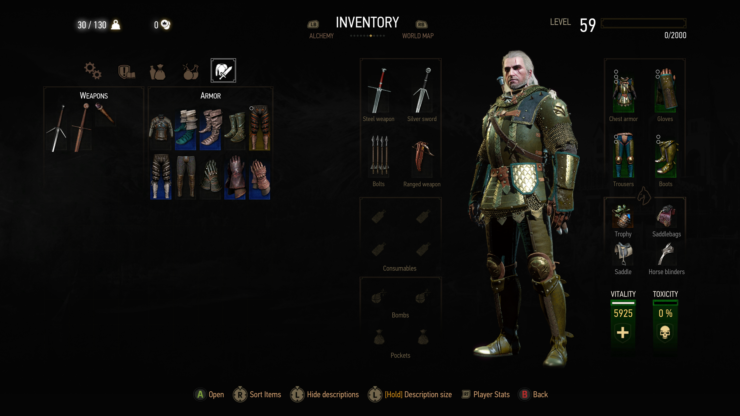 “BLOOD AND WINE makes THE WITCHER 3 complete: it’s Geralt’s final mission. 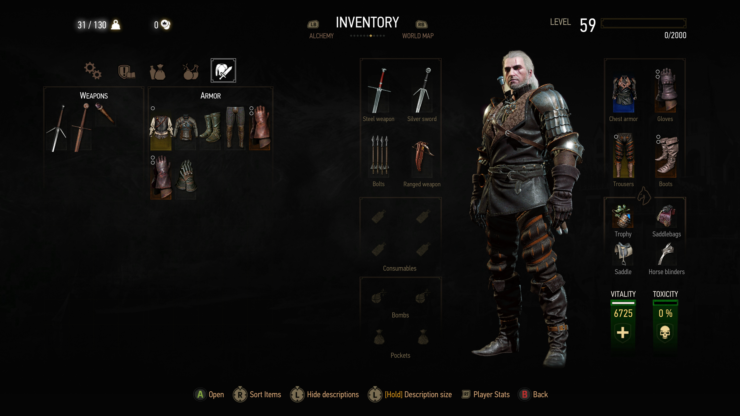 Containing more than 90 new quests, and over thirty hours of brand new adventures, it’s something that I think gamers will remember for a long time,” said Konrad Tomaszkiewicz, Game Director, CD PROJEKT RED. 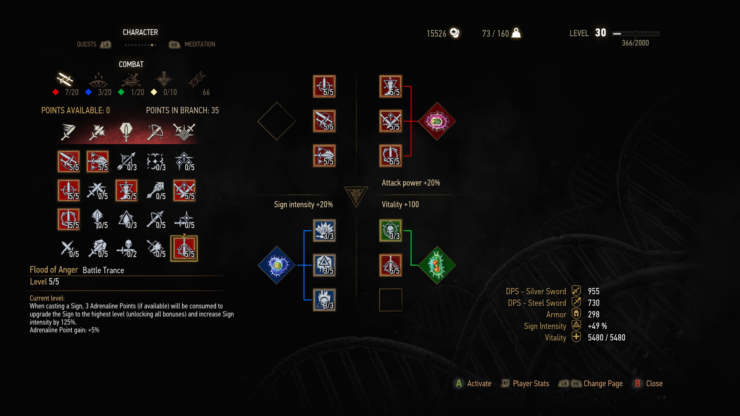 “There’s also a massive amount of features we’re giving gamers with this expansion like a dynamic Point of Interest system, a new Gwent deck, new endgame mutation mechanics, and even a place Geralt can call home…. 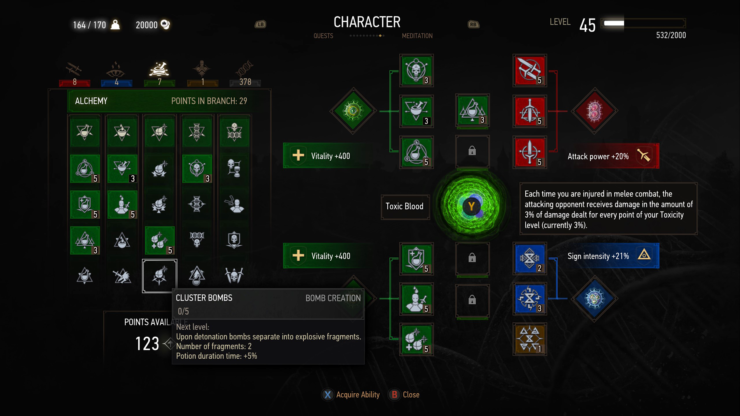 And it’s all happening in a new region as big as No Man’s Land in the base game,” Tomaszkiewicz adds. 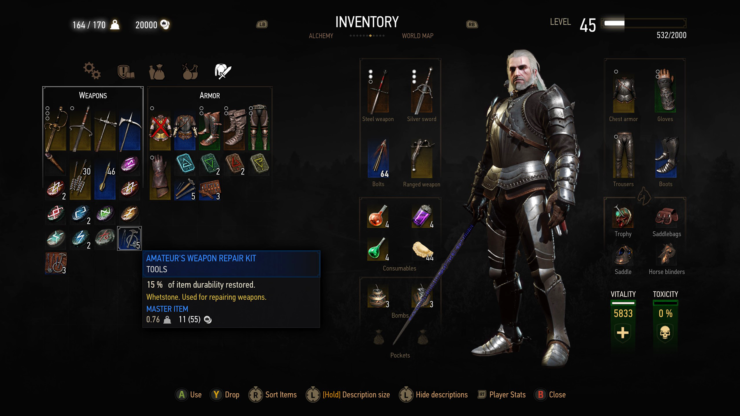 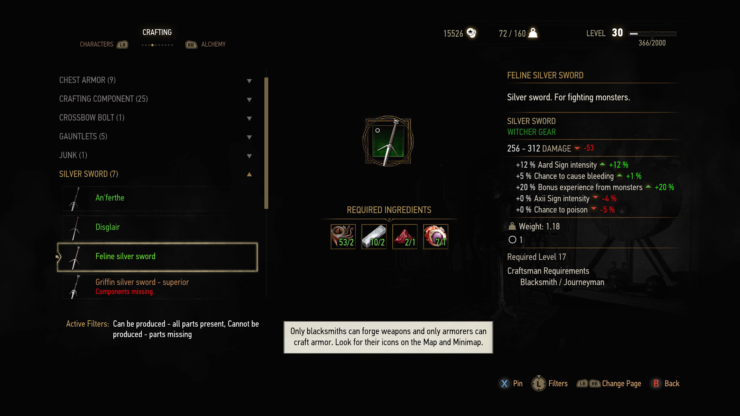 As said, Blood and Wine will introduce new armor sets for Geralt, and a redesigned user interface, and overnight some screenshots of the new interface have surfaced. 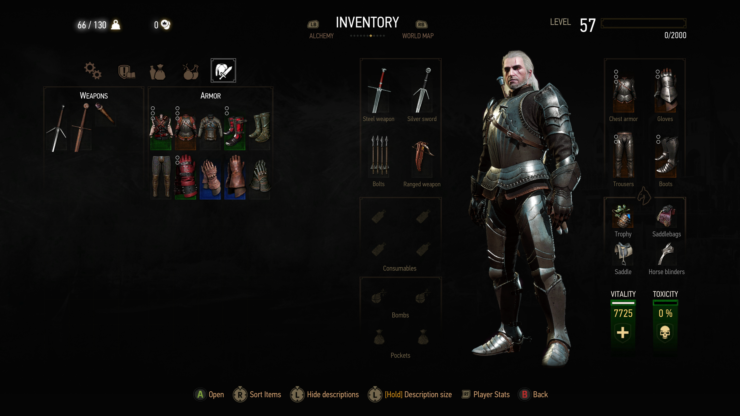 In the screenshots we can also discern new armor that Geralt will be able to wear. 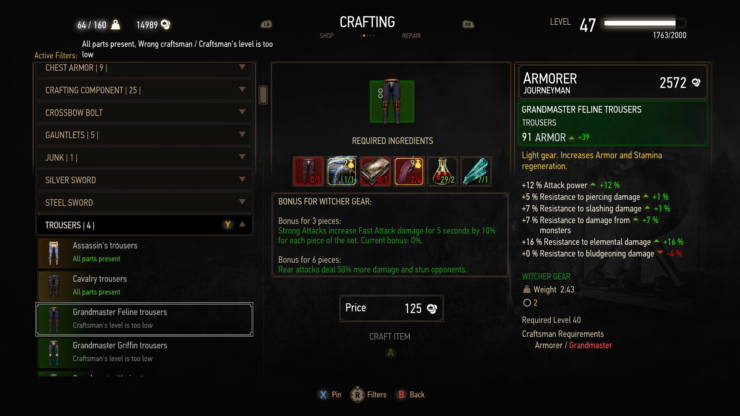 As can be seen, the new interface adds four extra skill slots, and will be using the entire screen.